Lawo console brand Innovason recently concluded its European seminar tour entitled ‘The origin of sound’, which set out to explore the best ways of achieving optimum sound for live classical music. 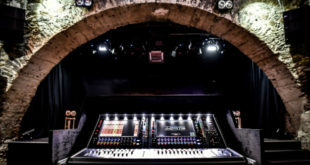 Led by Lawo’s Marcel Babazadeh, the aim of the tour was to investigate the secrets of creating the best possible sound for classical music with a live PA system. Having teamed up with Neumann and Sennheiser, Lawo and Innovason set out to present six workshops in six different venues across Europe. “The ‘origin of sound’ can be interpreted in many different ways,” explained Babazadeh. “On one side is the equipment, which includes the musical instrument itself as well as the technology used to transmit the sound. On the other side there is the musician and the sound engineer who express the music through their use of this equipment. The ultimate goal, of course, is to satisfy the audience. This can be quite a challenge in the case of classical music where typically, discerning audiences are accustomed to good concert hall acoustics. The tour covered six different locations with each seminar focusing on a different type of instrument: drums and percussion; woodwind instruments; brass instruments; piano; strings; and the human voice. 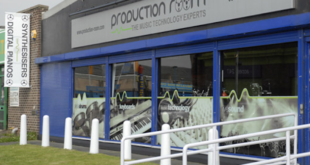 Each seminar included an exclusive visit to an instrument manufacturer’s premises to see how they were made and hear them played by professional musicians. The second part of the day was dedicated to the electronic part of making the instruments sound good – micing techniques, setting up the console, tuning the PA etc. Leazding classical engineers, including Carsten Kümmel and Thomas Mundorf, were on hand to explain and demonstrate the intricacies of their various techniques, including the new PANDORA panning algorithm on the Eclipse GT, to achieve optimum orchestral sound. Additional VIP guests who also shared their expertise with seminar paticipants included Norbert Ommer, sound designer for Ensemble Modern, and artists such as Frank Zappa and Karl Heinz Stockhausen; Martin Hildebrand, sound designer and supervisor of the Schleswig Holstein festival and other major events for classical music, such as Viva Verdi in Zurich; Thomas Kellner, monitor engineer for star violinist David Garrett; and Holger Schwark, sound engineer and sound designer extraordinaire for both classical events and pop acts alike. “It was an extraordinary journey,” said Babazadeh. “In combining the pure ‘technical’ side with the philosophy of how a musical instrument is created and seeing it first hand, we moved our participants’ awareness levels onto another plane. Many were so fascinated that they came back time and again to hear our experts speak, experiment with mic placement and try out the console.